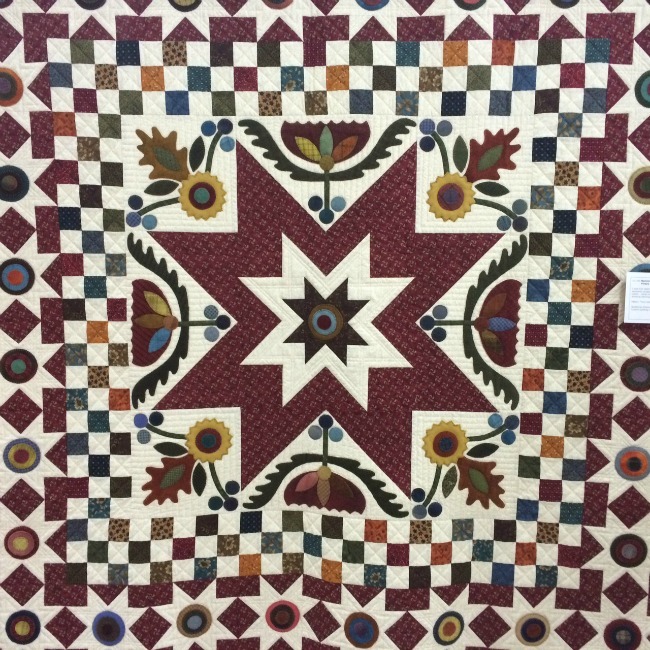 Quilt shows are a wonderful source of inspiration. 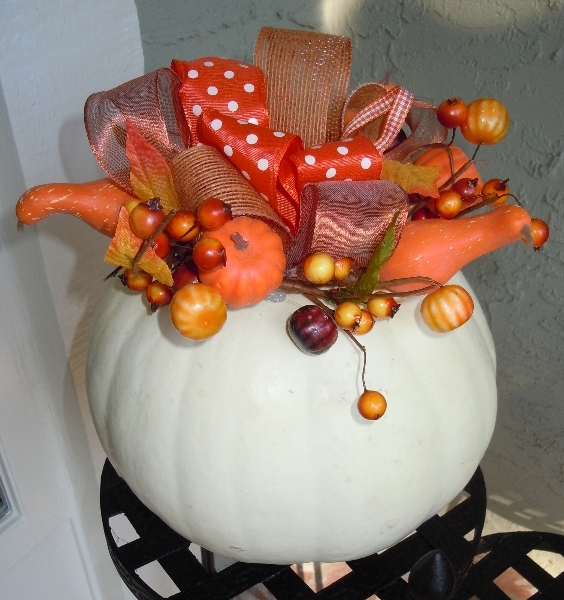 I am always amazed by the creativity displayed at these events. 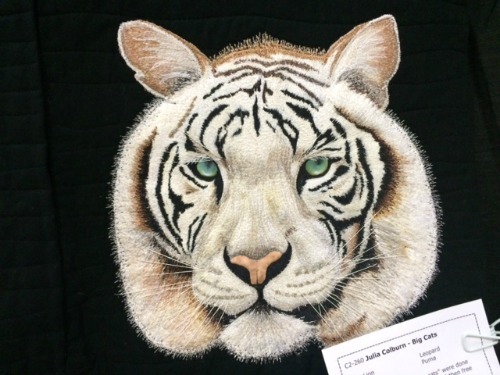 Last weekend Amador Valley Quilt Guild held their annual show, so I hopped in the car and made the drive to visit the exhibit. 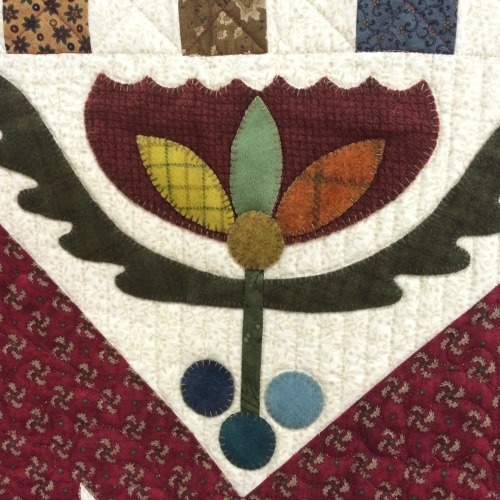 I will share photos of a number of the quilts with you over the next couple of posts. 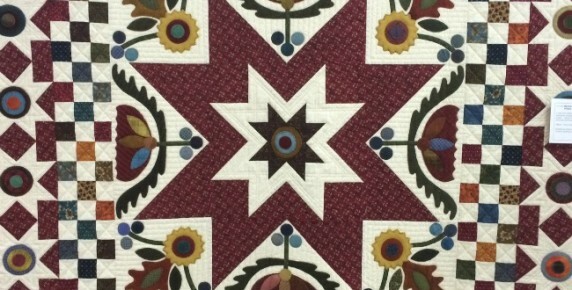 This quilt was made by Nancie Deprospero. 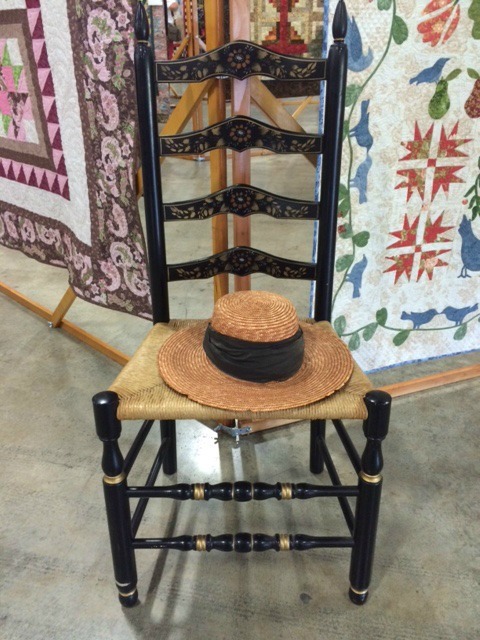 The pattern is “Farm Girl Finery” by Kim Diehl. 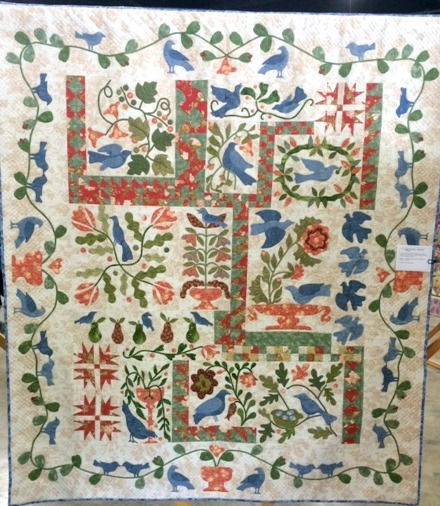 This quilt incorporates wool applique which gave the quilt a strong Folk Art feel. 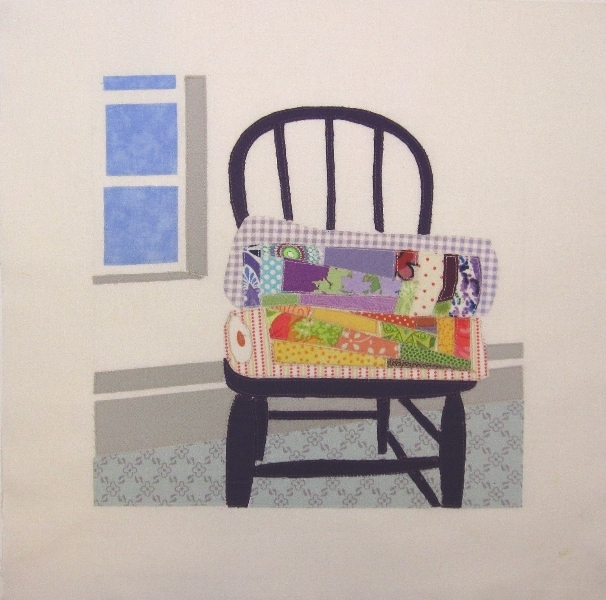 This small quilt was made by Karren Lusigman. 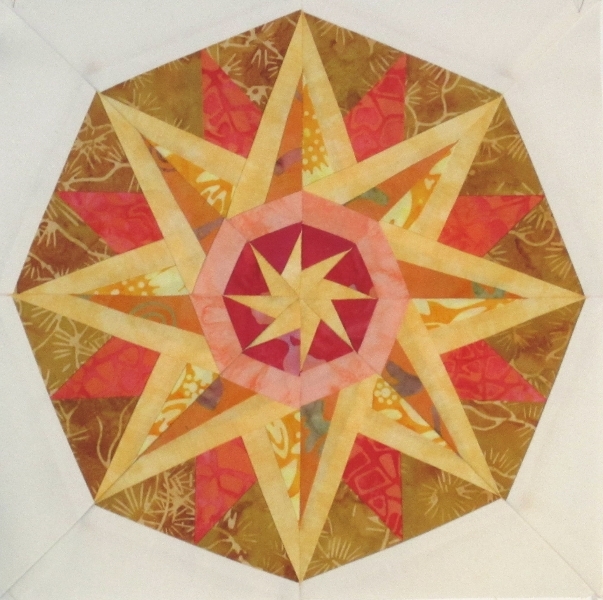 The pattern is “Zinnia” by Melinda Bula. 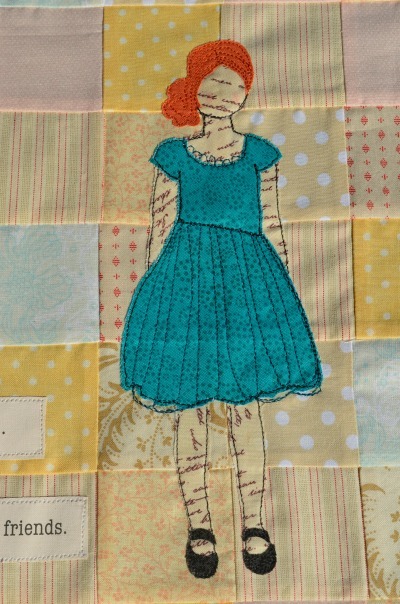 It is raw edge applique. 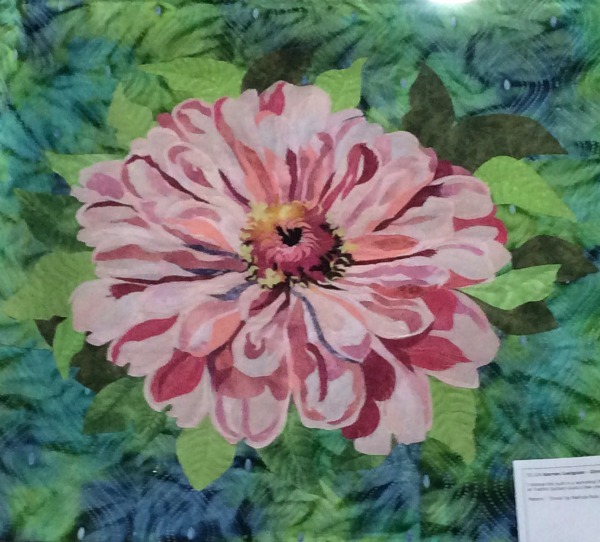 It was hung about 14 feet from the floor, so I apologize for the poor photo. 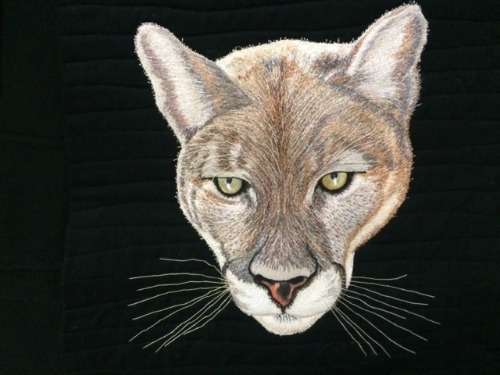 These panels are “Big Cats” by Julia Colburn. 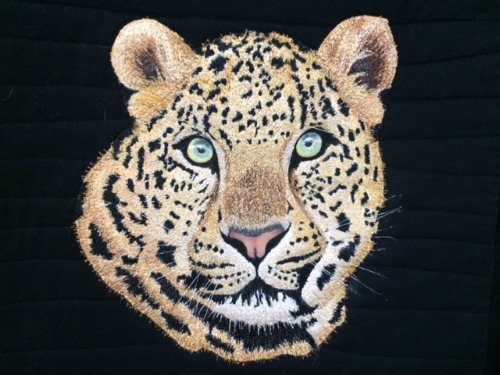 The Tiger, Leopard and Puma were hand inked onto the background fabric and then free-motion thread painted. 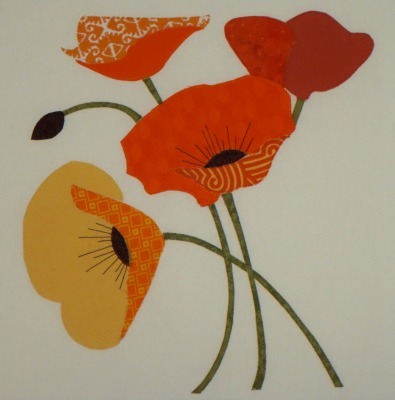 These pieces are stunning! 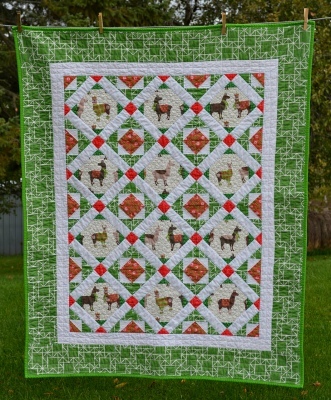 While we are on a jungle theme, this tiny quilt is also made by Karren Lisigman. 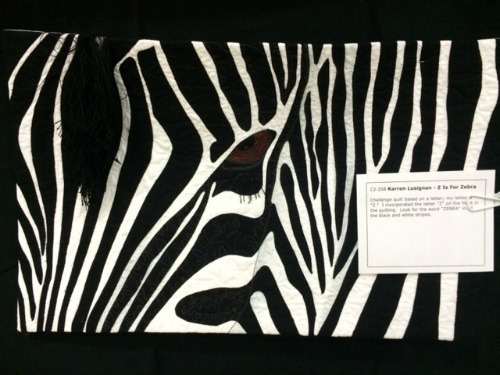 It is called “Z is for Zebra” and was the product of an alphabet challenge. 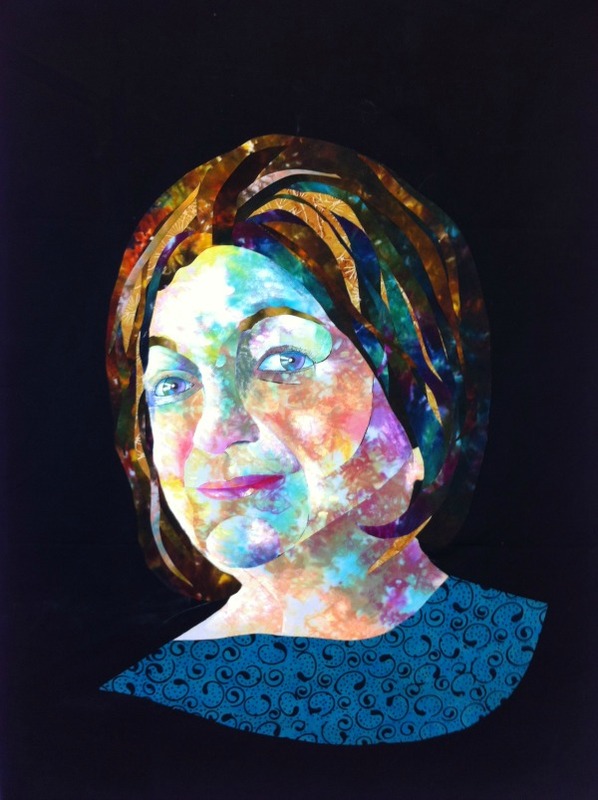 Karren was obviously assigned the letter “Z.” The three dimensional mane and eyelashes are a fun touch. 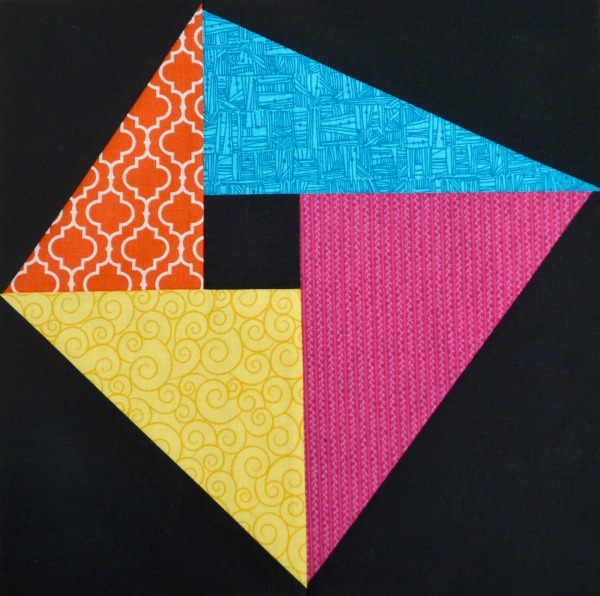 The next quilt was made by Irene Hucks and is called “Unexpected.” It was made from a pattern designed by Gerri Robinson which was published in McCall’s Quilting magazine. 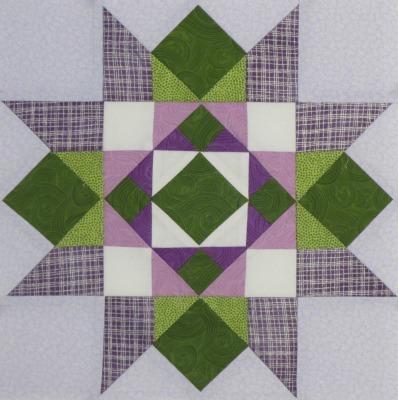 This quilt was made by Wendy Henderson. 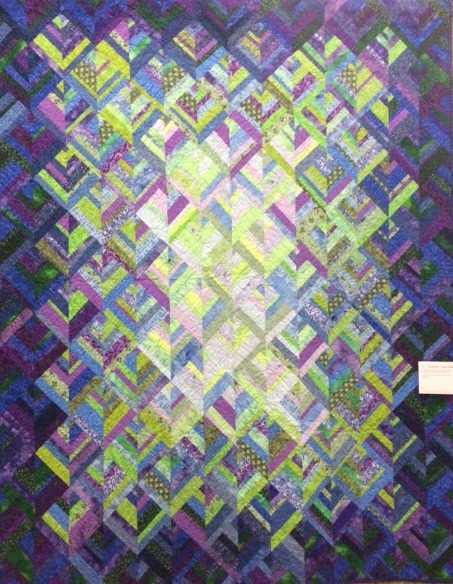 It is called “Mood (Not Indigo).” This was made in a challenge that required a quilt inspired by music. 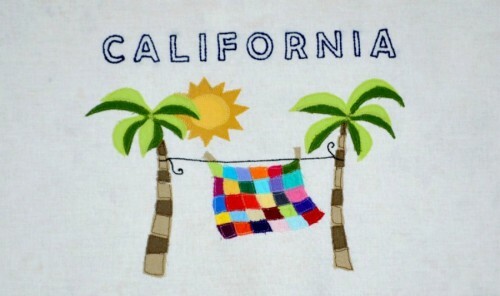 It was made with hand dyed fabrics. 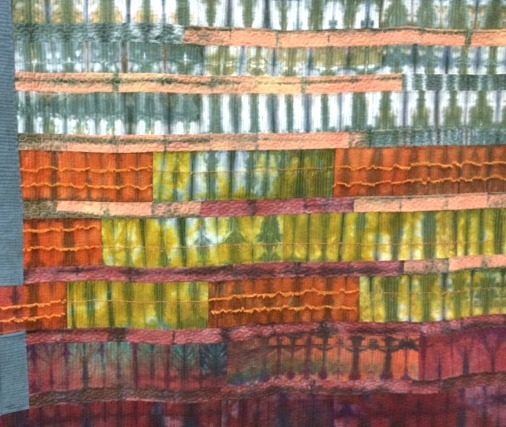 The variation in the dyes, metallic threads and raw fabric edges provide lots of visual energy. 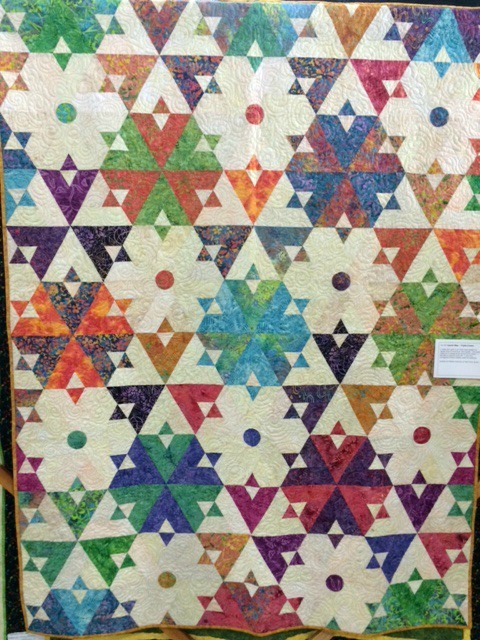 This very large quilt was hand-appliqued by Linda Perricone. 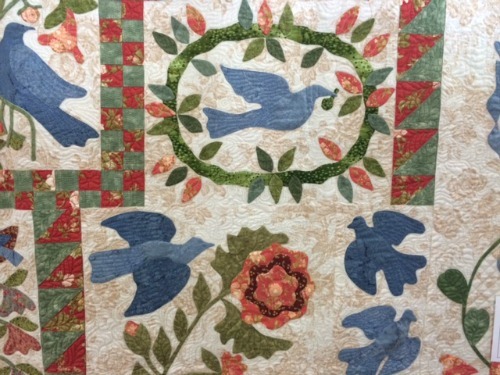 The pattern is called “Birds of a Feather,” which was designed by Barbara Adams and Alma Allen of Blackbird Designs. 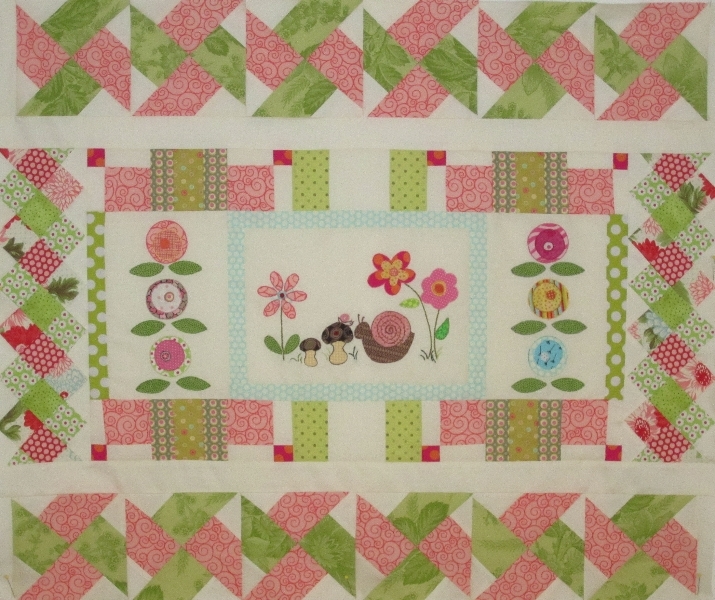 It is not easy to quilt a top with this much applique, but the quilting was very nice on this piece. 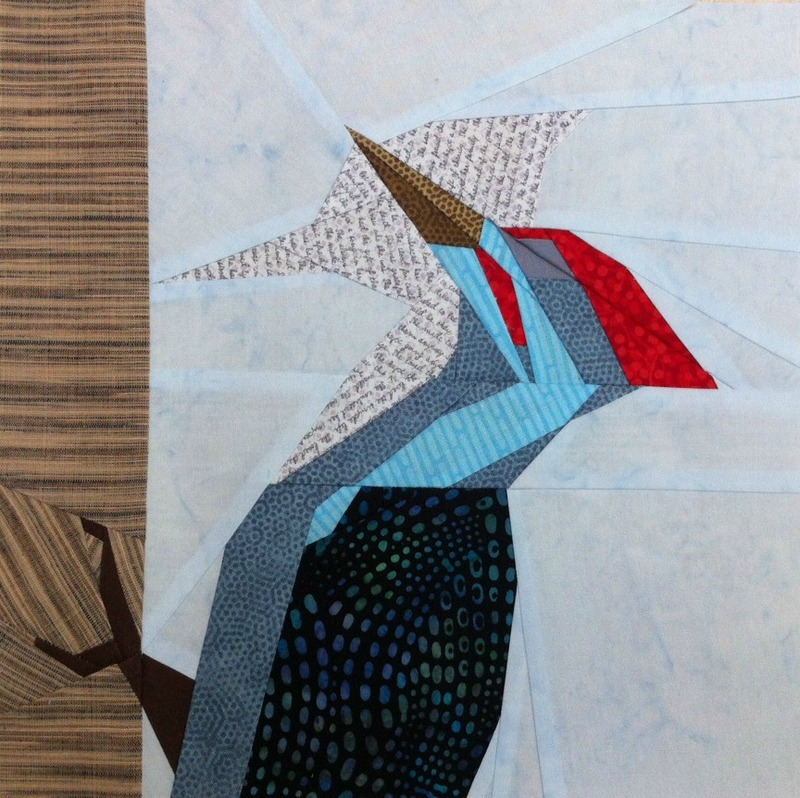 Notice the birds in the detail photo. 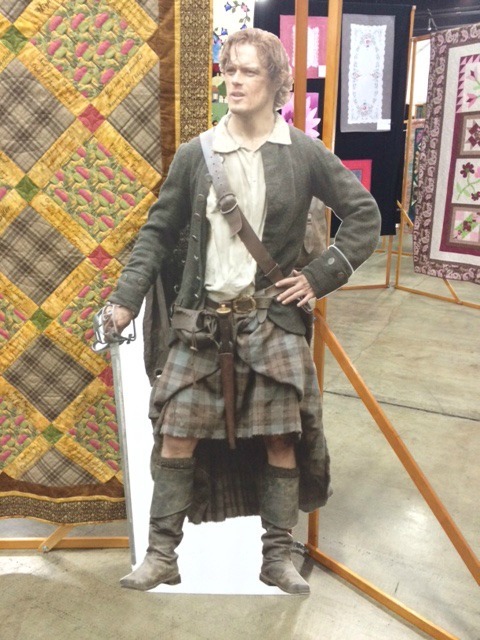 Of course, it’s just not a quilt show without a man in a kilt! 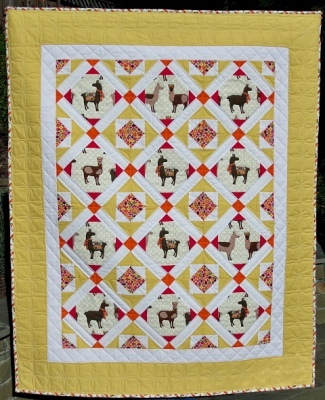 This quilt was made by Laurie May and is called “Triple Crown.” The pattern is designed by Sandy Klop of American Jane Quilts. 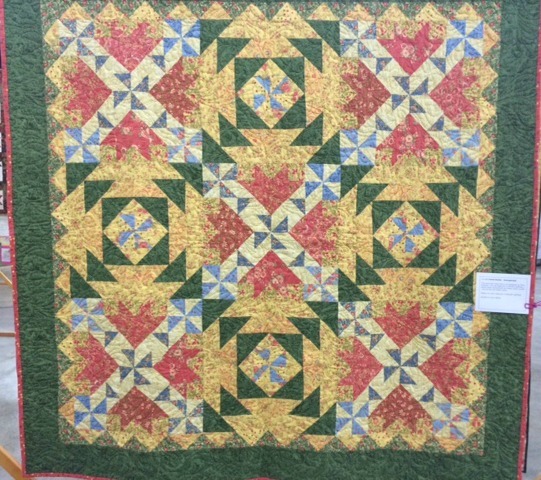 This quilt is called “Tranquil Treasure,” and was made by Dorothy Ellis. 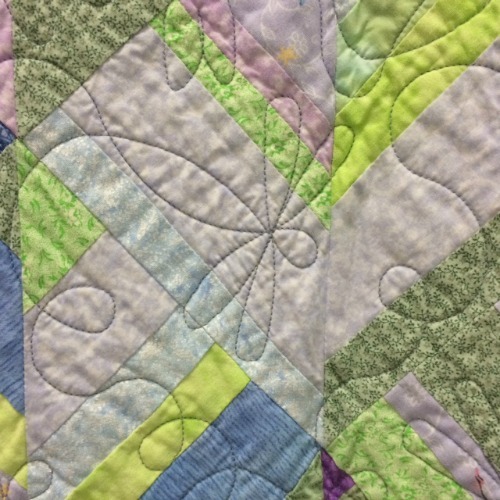 It was made from a pattern of the same name, designed by Evelyn Sloppy from her book, “Strips and Strings.” The quilting features dragonflies. We will stop and rest at this point. More to come!